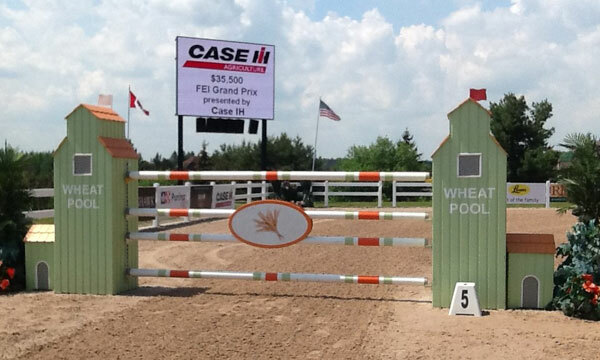 We are now into week two of the Palgrave Classic Summer series and we have another CSI 2* Grand Prix. The sponsor is Case I.H. and the prize money is $35, 500. There were 20 entries, and with one late scratch we will see 19 compete. This week we once again have perfect weather and I expect a good class. 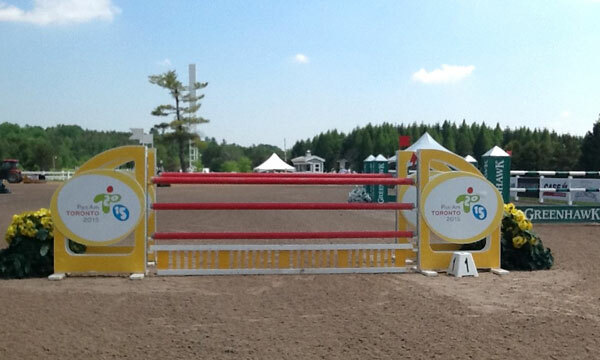 Our course designer will be Michel Vaillancourt (CAN) and all week he has built solid courses for all divisions. I think that Michel is at the top of his game and many times over the 10 years his work has been undervalued. 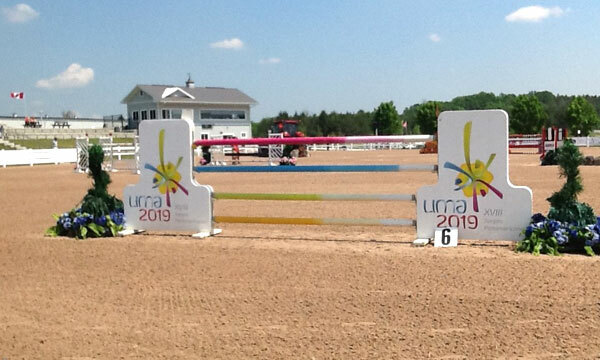 He stands out for his work at the Pan American Games on this site but has not received enough recognition for his steady high value courses each week that he has worked. 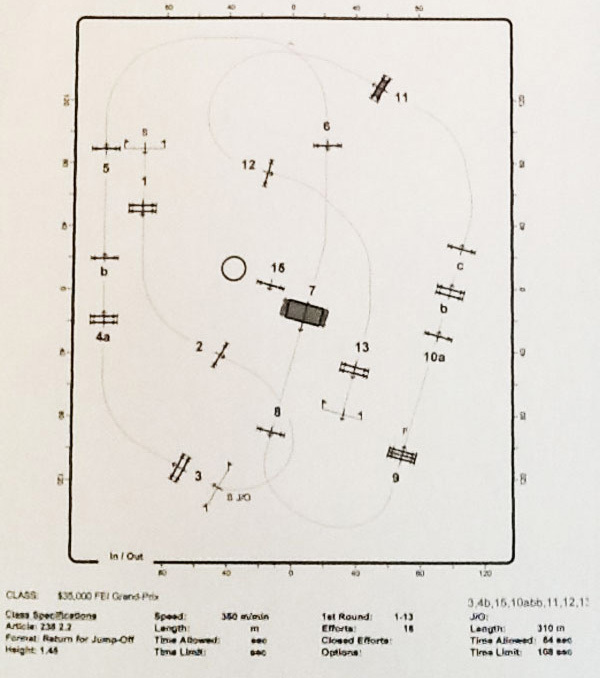 The speed for the 2* was set at 350m/m, and I believe that this speed at the grand prix level of competition no longer has a place in this level of competition. Over the last 10 years or more the speed has become a major test in competition and has been set at a faster competitive speed. The 350m/m can be too easy and can result in reducing the value of the other tests on the course. I have never been a fan of aggressive time allowed, but the fact is that proper times and a solid course create better results at the speed of 375m/m. I will also comment that many course designers today use the TA to create the results that they would like to have and show jumping is about jumping and not BEAT THE CLOCK. Changing the TA today by two seconds was kind to the riders, but really had no affect on the class. This was a highly competitive class and fun to watch. I think it is now time to walk the $35,500 Case I.H. 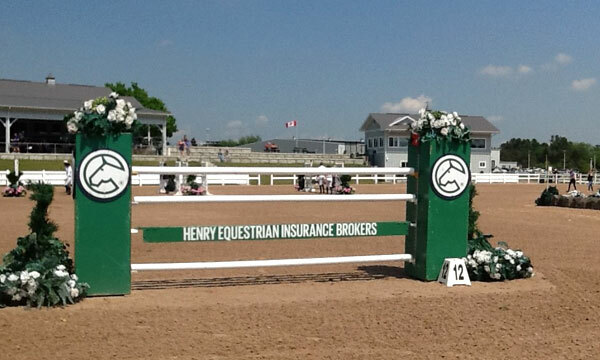 CSI 2* Grand Prix. 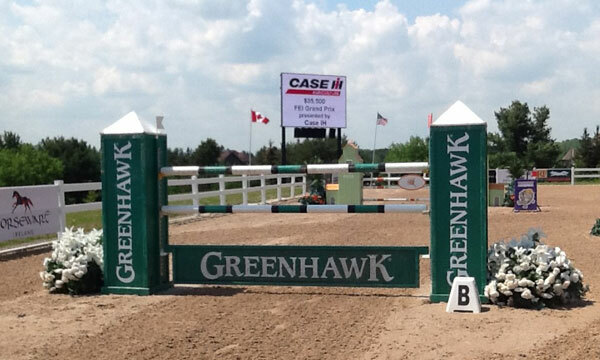 #1 oxer 1.35/1.40/1.40m or 4.3/4.6/4.6ft starts the class and very quickly ended the day for one rider. 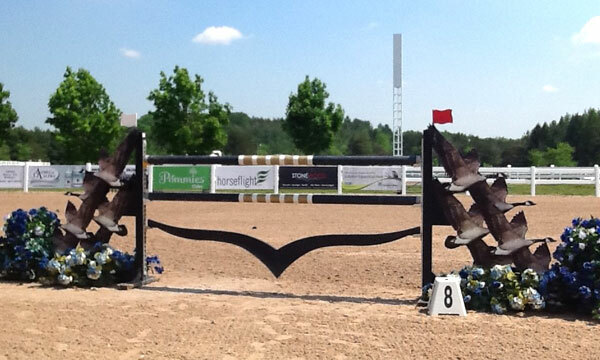 #2 vertical 1.45m or 4.9ft comes from #1 on the left rein with no given distance and was never faulted on the day. 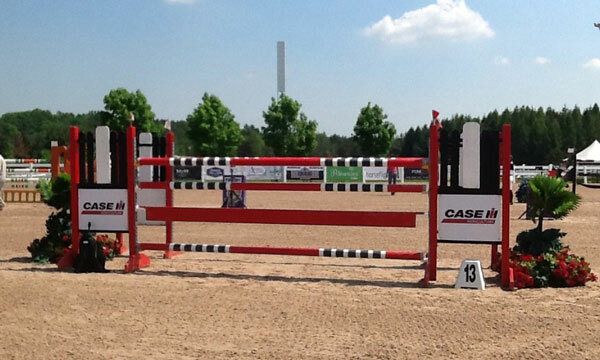 #3 oxer 1.45/1.50m or 4.9/5ft is placed at the in-gate and comes on the right rein and with a long gallop. This oxer remained intact the whole day. #4a oxer 1.45/1.55m or 4.9/5.1ft comes on the continuing right rein away from the in-gate with a distance 33m or 108ft and met with mother earth two times. #4b vertical 1.45m or 4.9ft comes from #4a with a distance of 11m or 36ft and was tumbled to the floor two times. #5 vertical 1.48m or 4.11ft comes from #4b in a straight line with a distance of 19m or 63ft and was not faulted on the day. #6 vertical 1.48m or 4.11ft comes from #5 on the right rein and a long gallop and was not a factor today. #7 OPEN WATER 3.35m or 11ft comes from #6 on a soft right bend with a distance of 26.5m or 87ft and there were three toes in the tub. #8 vertical 1.48m or 4.11ft comes in a straight line from the water with a distance of 25.9m or 85ft and played in the sand two times. 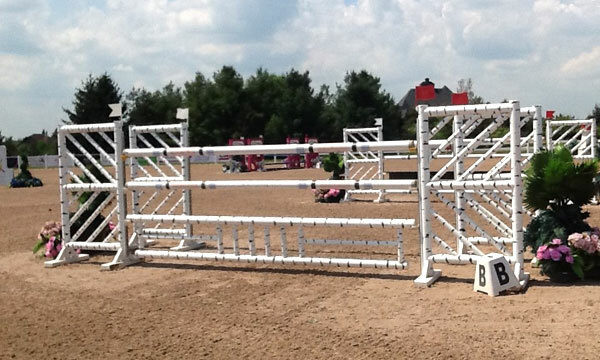 #9 triple bar 1.45/1.90m or 4.9/6.3ft comes from #8 on the left rein and a long gallop and was faulted one time. #10a vertical 1.45m or 4.9ft comes from #9 in a straight line with a distance of 25.9m or 85ft and fell from the sky two times. 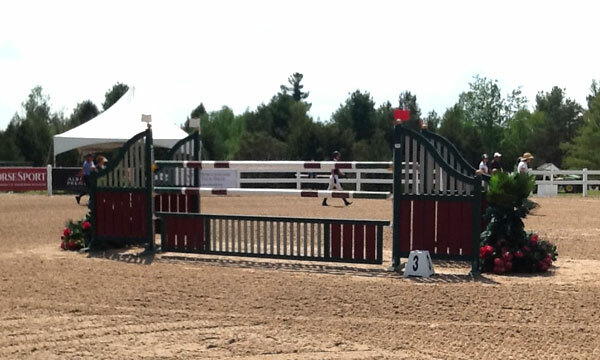 #10b oxer 1.45/1.50m or 4.9/5ft with a distance of 7.9m or 25.9ft from #10a and fell to the floor three times. #10c vertical 1.45m or 4.9ft with a distance of 8m or 26.3ft from #10b and also got dirty three times. #11 liverpool oxer 1.45/1.55m or 4.9/5.1ft comes from #10c with no given distance and on the left bend splashed down six times and resulted in one refusal. 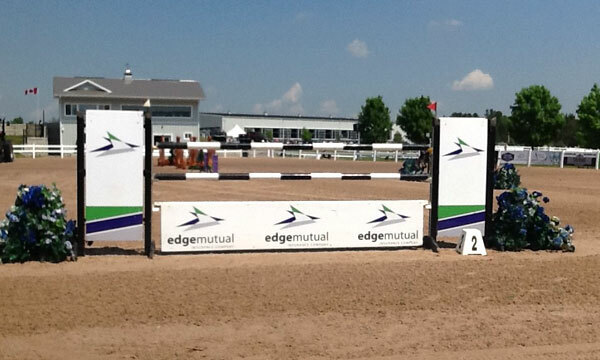 #12 vertical 1.48m or 4.11ft comes on a long gallop on the left rein and did not provide any difficulty on the day. #13 oxer 1.45/1.60m or 4.9/5.3ft comes from #12 on the right bending rein and with no given distance was a disappointment for one rider. 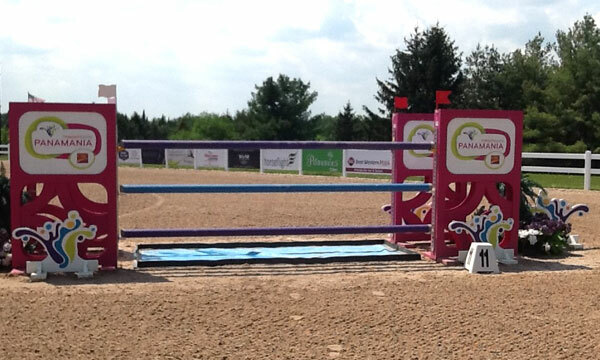 This was the final fence on the course today. 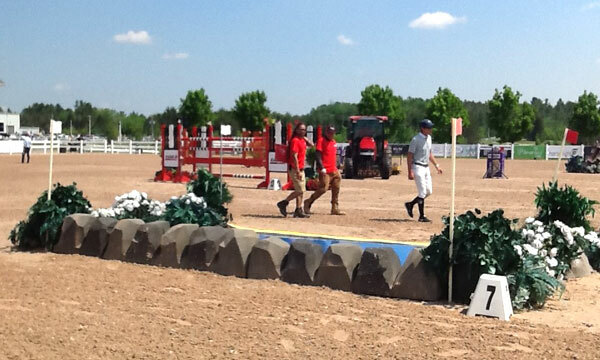 The final results of the 19 rides will give us three clean rounds, eight rounds of four faults and one with five. There were three rounds of eight and one round of none faults. There were two VWs. 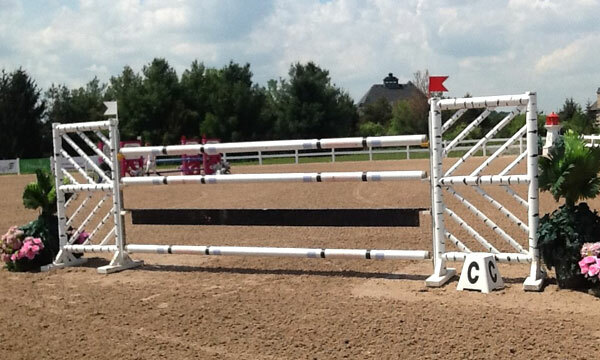 There was also one round with 12 faults. 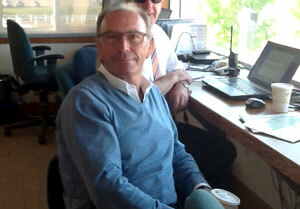 This was a very entertaining grand prix and the weather was perfect and I was happy to be there. Michel set solid and fair competitive courses all week and I am sure he leaves for other destinations with the feeling that he had a good week at Palgrave. One of the things that I have noticed with the course design of Michel is the use of the triple combination. In a day of too many double combinations in many classes with the absence of the triple is not what I like to see. Michel uses the triple the way I like. In many, many classes (annex jumper) there is never a triple combination (week after week). Used with common sense, all divisions should show the triple. 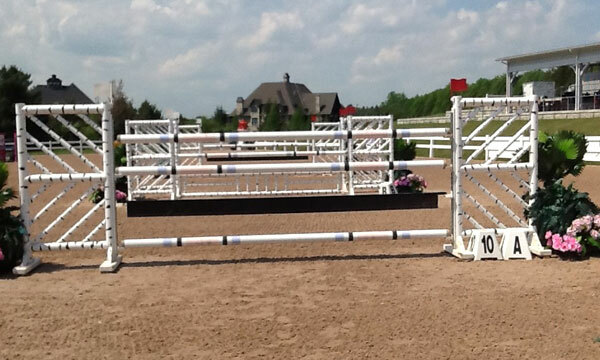 The Liverpool (with an option or not depending on the division) should also receive proper use in the second jumper ring. The use of the TA is a continuing source of concern. The TA is established by the course designer and can be changed in consultation with the president of the jury after three rides without a refusal. It really does not get considered because of who the riders are, but on whether the speed was used correctly by the rider. There is also some debate by the powers that be on making a good class with enough clears to provide a class with a fun and competitive jump off. This is a small debate, but it is there. If you were the course designer or the president of the jury what would be your stand on changing the TA even if you felt that the TA was correct? 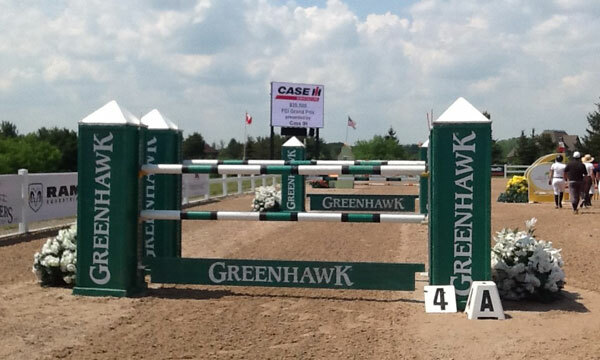 We have now finished the first series at Palgrave and with a week off we will move to Angelstone for their first series of shows. One final observation is that the classes over the last two years in Florida and beginning of this year have been greatly improved in fairness by the use of the 18mm yellow cups. I really believe in these cups and when used there is no cheating. 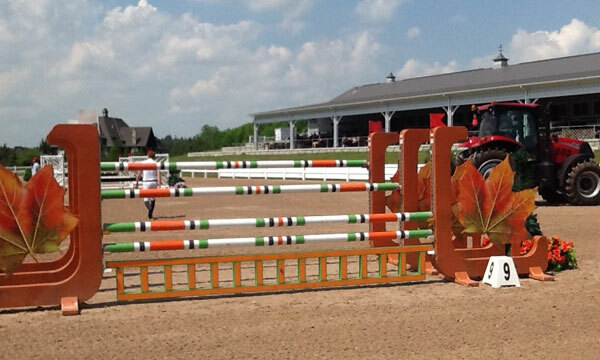 I hope that all venues in Canada will use proper depth cups and maintain a high level of fair competition.